Poison Girls were right at the spittle-thick heart of Britain’s ‘anarcho-punk’ convulsions between 1979 and 1985. They never bothered the radio waves very much, even John Peel refusing to give them a session. But, looking back, Poison Girls were a band so far ahead of the game that the rest of rock 'n' roll have been playing catch-up ever since. They were scarcely punk either. It’s just that punk's temporary levelling of the landscape gave them space to break through. Their singer, Vi Subversa, was already a woman in her forties, a mother of two. She successfully broke every rock’n’roll mould that came to hand. A middle-aged, militant feminist, peacenik, anti fascist, anti capitalist punk! With guitarist Richard Famous and drummer Lance d’Boyle, they expressed ideas and emotions utterly unknown to the spikey-tops and bootboys. Their sound developed in all directions and, if anything, their centre of artistic gravity was a London update of the Berlin cabaret, Vi Subversa’s voice a nicotine rasp that cackled or crooned her words of love, outrage or hurt. Their indifference to left/right politics gave them no easy platforms. They found themselves ostracised by rock’s bland, new consensus after 1985's Live Aid. Yet their extraordinary integrity and intellectual energy sounds more current today than any from that period. Vi’s impassioned exploration of female aging is unmatched in mainstream rock and the connection between personal and political, that Poison Girls dissect with razor sharp incision, has never been bettered. The political impact of the band resonates as strongly as ever. Their ideas are still challenging. Their lyrics are as relevant and confrontational as the day they were written. The music bristles with warmth, emotion and a raw electrical power. 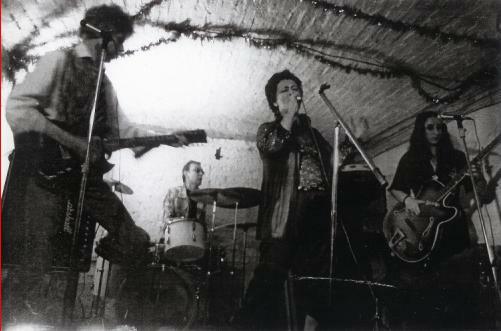 The band were truly unique and a genuine puzzle for puzzle.